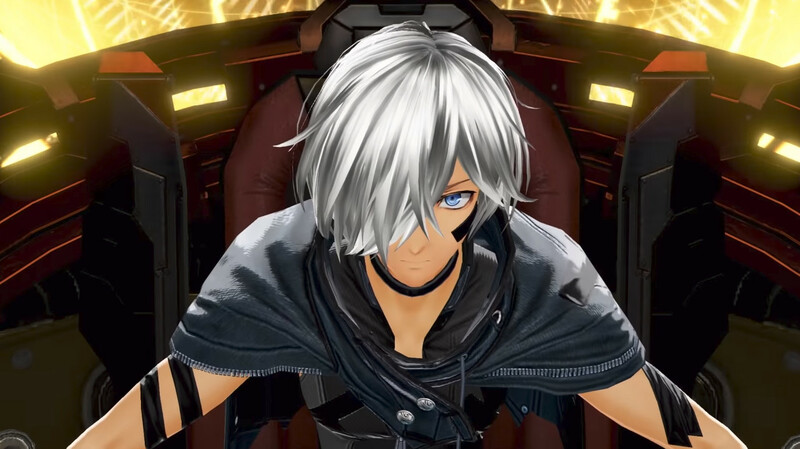 Bandai Namco Entertainment has announced that they are bringing God Eater 3 to Nintendo Switch owners in July 2019. The game will launch in North America and Europe on July 12, 2019 while it will release in Japan a day earlier on July 11. You can check out the Switch announcement trailer below. Players on the Switch version can team up with 3 others in local or online multiplayer to take on Story Missions. They also have the option to play online with 7 other players and tackle new Assault Missions. 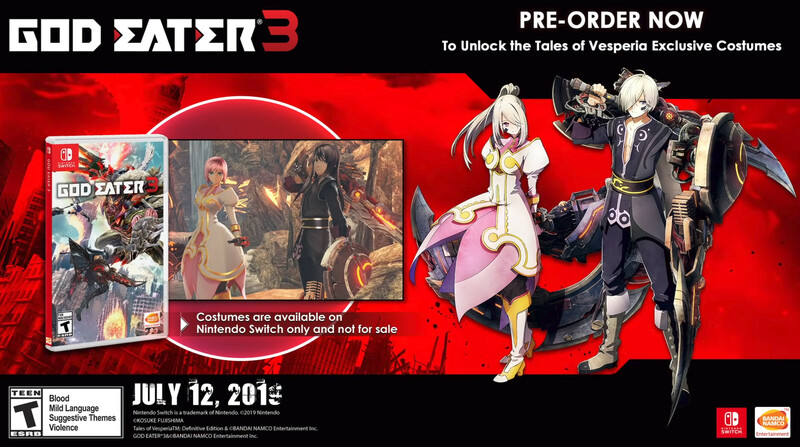 God Eater 3 on Switch will also have exclusive pre-order bonuses in the form of costumes. Those who pre-order the game on Switch will receive Yuri and Estelle outfits from Tales of Vesperia: Definitive Edition. These outfits will only be available for the Nintendo Switch version and will not be for sale. Will you be picking up the game when it heads to Switch in July?